Colors shown here may not exactly match the actual color on product, due to monitor and printer color variations. Actual color samples are available. 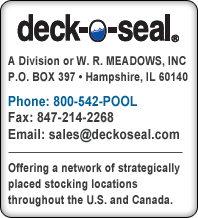 Please contact your local DECK-O-SEAL distributor, or contact DECK-O-SEAL directly at [email protected].